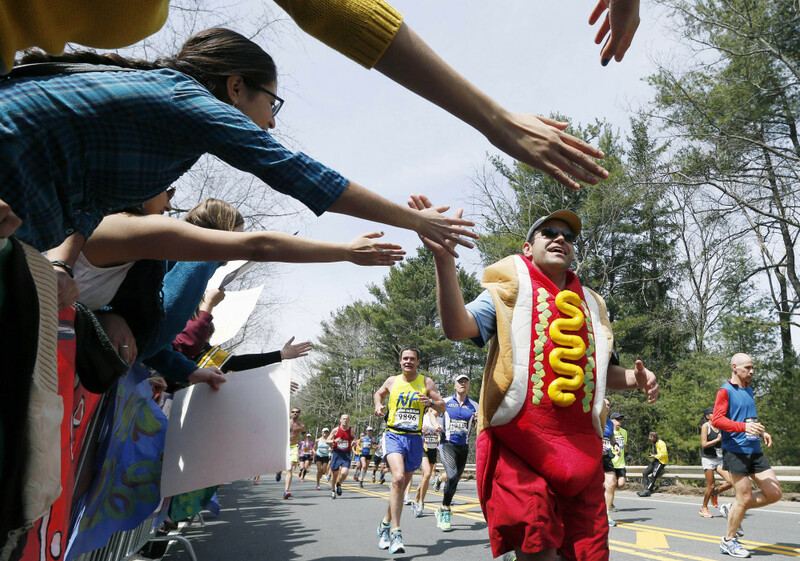 Despite the added security, race organizers hope the marathon’s 118th running will still have the celebratory atmosphere of past years. BOSTON — This year’s Boston Marathon will feature more police, more surveillance cameras and tightened rules for runners and spectators. But organizers hope the marathon’s 118th running will still have the celebratory atmosphere of past years. Police and emergency management officials have been working for months on heightened security plans for the 26.2-mile route in the wake of last year’s deadly terror attack. Authorities say two brothers built and planted pressure-cooker bombs near the marathon finish line. The twin explosions killed three people and injured more than 260. Some of the new security measures include checkpoints for spectators and prohibiting unregistered “bandit” runners from joining the race. The marathon is scheduled for April 21.